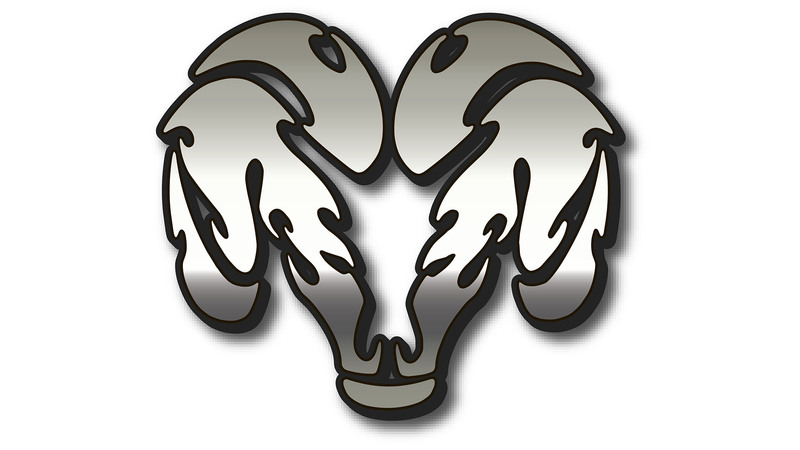 The iconic Ram logo evolved from the ram’s head hood ornament that made its debut in the late 1920s. However, it had not become the brand’s standard badge until 1993. Originally, the logo belonged to the Ram Truck’s parent brand Dodge. According to a company legend, the ram head was first used as the brand’s symbol in the late 1920s. It was developed by one of the prominent American sculptors of the previous century, Avard Tennyson Fairbanks. Some of his most popular sculptures can be seen in the United States Capitol. He was also the author of “the Flying Lady” (“Floating Power”) radiator caps for Chrysler. As Fairbanks recalled, once engineers from Dodge invited him to a meeting, where they told they needed hood ornaments for 10 thousand new vehicles. The engineers explained the design should be as appealing as that of the Rolls Royce hood ornament, yet go well with a vehicle that costs much less. The first stage of developing the ornament took several days. At this point, Fairbanks created sculptures of several animals, from a tiger to a jaguar, using an animal book by William Hornaday as a guide. The idea to make a ram sculpture was not among the first thoughts to cross his mind. However, as Fairbanks was working on the ornament, he thought of new arguments in favor of this animal. When he showed the sculpture to the Dodge engineers, they agreed that, as the King of the Trail, ram is a great choice. However, Walter Chrysler was hesitant about it. So, the sculptor asked, “What word would cross your mind if you saw a ram in the mountains?” “Dodge!” seemed a perfect answer. As Chrysler realized the symbolic potential of the ram sculpture, he grew enthusiastic about it. One of the additional reasons for the choice could be the fact that ram, as the symbol of Aries, also has a variety of positive connotations, including force and authority. We should definitely point out that although the ram head was introduced rather early in the company’s history, originally it was just the hood ornament and was not used as the logo. Throughout the following several decades, Dodge went through a succession of logotypes, from a 6-pointed star and a deltoid logo to the iconic Chrysler Pentastar. In the late 1980s, when Dodge started reviving its truck range, the company designers decided to make use of the sculpture designed by Fairbanks. It seemed a perfect way to emphasize such characteristics of the brand as power and aggressiveness. It was then that the name Dodge RAM trucks appeared. However, at the time hood ornaments looked dated, so the company created a badge on this base. 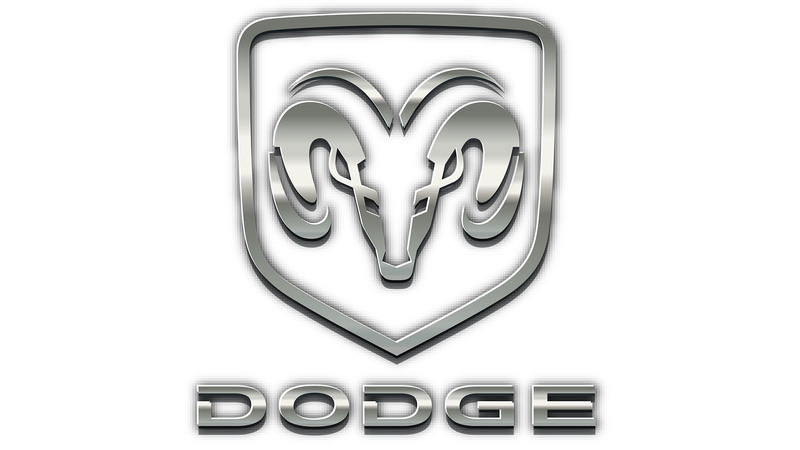 The badge could be seen on most Dodge trucks launched between 1993 and 2010. And what about the RAM logo itself? Unlike the earliest version, it includes only the animal’s head. It has still preserved the appealing sculptural quality that links it to the original hood ornament created by Fairbanks. 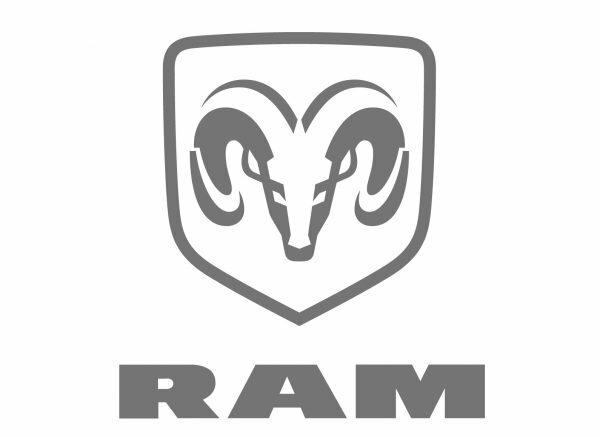 When Fiat purchased Chrysler in 2009, RAM was turned into a separate brand. It used the original Ram truck logo, while the Dodge brand got a completely new logotype. The minimalistic text-based Dodge badge with two hash marks was created by the Wieden & Kennedy ad agency. In addition to black and white, the dominant colors on the Ram truck logo, it includes various shades of grey. The dark and light metallic colors help to create a 3D effect.